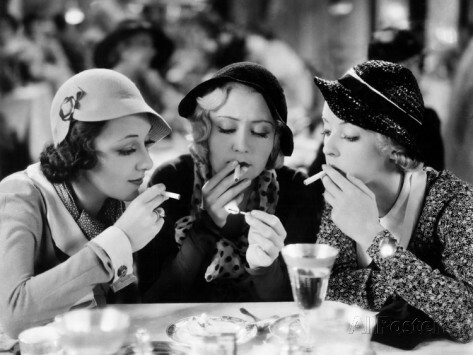 Spent my rainy day watching pre-code movies. Shading done with some new Frenden brushes for Manga Studio 5. Here’s another fun exercise from my “Figure Drawing for Cartoonists” class. Today the model put on 1920s garb, and had a few props like an apple, a mink stole, and a bottle of wine. Our challenge was to use each of the 10-minute poses as one panel in a cartoon page, complete with camera angles and dialogue. None of this was pre-planned, although the model purposely fed the apple to the mink after seeing where my cartoon was headed! Naturally, when I’m forced to go with my gut instinct, my weird sense of humor comes through. Is that a good thing? Maybe I should just amuse myself with nutty stuff instead of anguishing over my inability to come up with anything resembling sympathetic characters and solid plots. If you find yourself asking, “is that creepy dude on the subway drawing me?” the answer is yes! Thanks for the practice, humanity. There’s a novel twitter account called @sketch_dailies that posts a daily topic or character for its thousands of followers to draw in their own unique way. Today’s prompt was “Heffalump,” which apparently is an imaginary elephant from Winnie the Pooh. A few random sketches from La Paz. I didn’t draw much!